track the invoices on the go. Quick invoice maker is a simple even powerful business invoice app used to make the process of printing of your invoices and billing faster and easier. 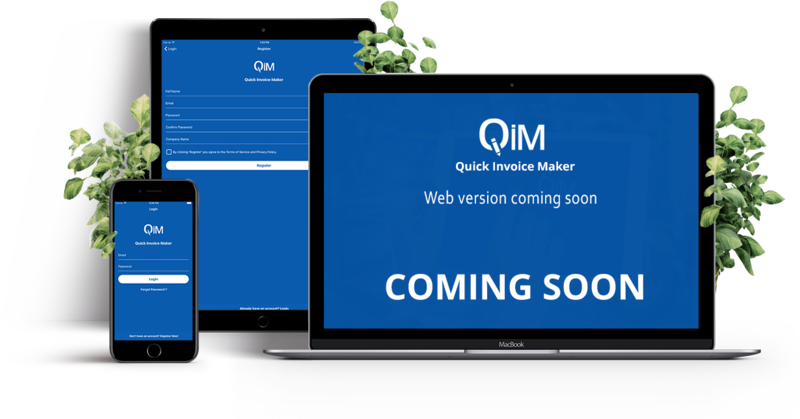 QIM presents excellent invoice maker or billing app for business need. It is one of the leading invoice makers for Android, iOS and Web for business and individual invoicing need. If you are finding easy to use comprehensive invoicing software to provide an invoice to your customers in seconds or looking for a professional invoice or bill template app to generate invoice instantly, then quick invoice maker can be your solution. Quick invoice maker is an handy yet powerful invoicing app suitably catered for small & medium sized business of all types. Quick invoice maker is for quick invoicing. A complete invoice solution, which allows you to create and modify invoice in seconds. It is an easiest yet powerful invoice maker to create invoice online anytime and anywhere. A powerful invoicing app you will ever use. You can create professional invoice when you need and wherever you are.The Best invoice maker app for mobile(android,iOS) and web platform. It helps you to define selling price for various items for a clean mobile invoice. An all time best invoice maker for Android, iPhone/iPad and web. Click and create your invoice anytime. You will get same screen calculation with multiple items, taxes and discounts. Secure clients or customers by giving your business a professional look with this highly efficient and customizable invoice app. It is suitable for small businesses or startups. Subscribe Us for New Updates. Quick invoice maker is a professional and powerful yet easily manageable invoicing app with all necessary features for small businesses and startups. It is excellent, easy to use, paper saving and time-saving tool that pushes your business ahead of the competition. 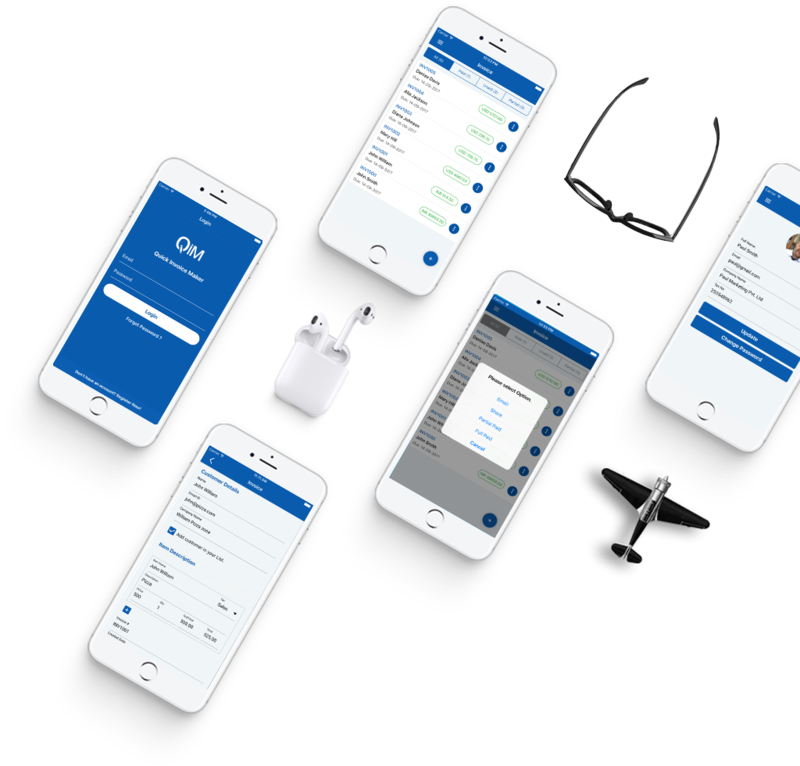 You can even take the invoice while traveling, on the way – on the go. If you are one, who wants to run his business less than the price of a cup of coffee, then quick invoice maker online is for you. It can be your best invoice maker for Android, iPhone and iPad. It is a simple invoice app iPhone, and a reliable invoice generator Android app. Now your hesitation is over and the time to kick-start your business with this powerful invoicing generator mobile app. Create any invoice and share invoice PDF or receipt template. It is available for Android and iOS. QIM web version for business and individual need will be launched very soon. Below are the experiences of users as a review on our app. subscribe and download today to kick-start your business.